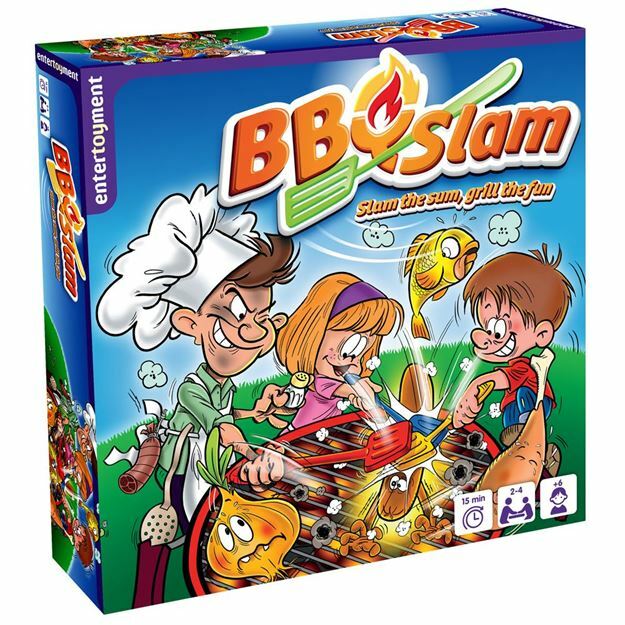 Slam the sum, grill the fun with BBQ Slam. Players start by placing the numbered food cards on the “grill” game board. Roll the dice and quickly add the numbers facing up. SLAM the food that matches the sum. Be the first to SLAM 6 food cards to win! Age 6+ years. Distributed in New Zealand by Holdson.